Luis Suarez and Paulinho each scored twice as Barcelona tuned up for next Saturday's Clasico with a 4-0 win over Deportivo La Coruna. Barca overwhelmed their visitors at the Nou Camp, where all four finishes came from inside the six-yard box, and created enough good chances to have at least doubled their eventual tally. Lionel Messi somehow failed to join his team-mates on the scoresheet, hitting the woodwork on three separate occasions and missing several inviting chances, including a second-half penalty that was saved by Ruben Martinez. Victory puts Ernesto Valverde's side two wins clear of second-placed Atletico Madrid and 11 points ahead of Real with a game in hand. In Italy, reigning champions Juventus stormed back into second place in the Serie A table, while AC Milan's imploding season took another turn for the worse. A day after Napoli removed Inter Milan from first place with their confident victory at Torino, Massimiliano Allegri's Bianconeri went to Bologna and won 3-0 to also leapfrog the Nerazzurri. 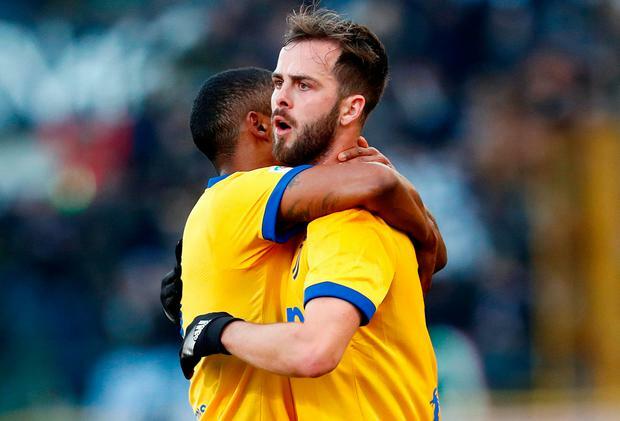 Meanwhile, Gennaro Gattuso's 10-man Milan, already languishing down in seventh, were thrashed 3-0 at lowly Hellas Verona. The team stacked with €230m worth of new players could only draw with previously pointless Benevento at the beginning of December and this week UEFA said it was monitoring the club's activities ahead of a potential Financial Fair Play investigation. In Holland, Feyenoord romped to a record 7-0 derby win over Sparta Rotterdam. Meanwhile, Former Brazil, AC Milan and Real Madrid playmaker Kaka has retired from football. The 35-year-old was a free agent after leaving MLS outfit Orlando City in October and, despite reported interest from his former clubs Milan and Sao Paulo, he has decided to hang up his boots. In a tweet, the former World Player of the Year wrote: "It was much more than I could ever imagined. Thank you for everything! I'm now ready for the next journey."